What are the offline elements? 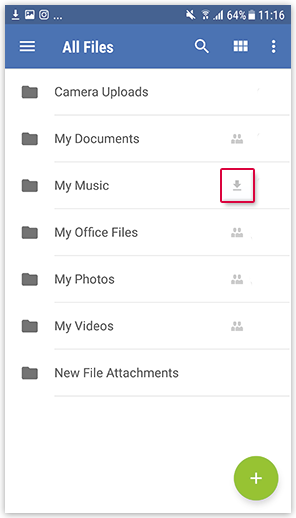 You can select single files or whole folders to be available offline. These items are downloaded to the app storage and do not need an active internet connection to be loaded and used. Offline elements are marked with a grey symbol. What is the difference between offline elements and downloaded elements? Offline elements are downloaded to the app storage and do not need an active internet connection to be loaded and used, for example, if your phone is in flight mode. If you have an active internet connection again, the items are synchronized normally with the cloud. Downloaded items are saved locally on your mobile device. They are therefore not included in cloud synchronization.